Epidural spinal injection is a non-surgical treatment option utilised for relieving back pain. Spine degenerative conditions such as herniated disc, spinal stenosis and many others may induce back pain due to the compression of the associated spinal nerves. This pain or numbness may extend to the other parts of the body such as hips, buttocks, and legs. Doctors start with non-surgical methods to treat back pain and epidural spinal injection is one of these preferences. In cases where the patient finds no relief from non-surgical methods then finally surgery is recommended. Epidural spinal injections contain a strong anti-inflammatory agent called corticosteroid and an anaesthetic for pain relief. It is not the same as epidural anaesthesia given before child birth to decrease labour pain. 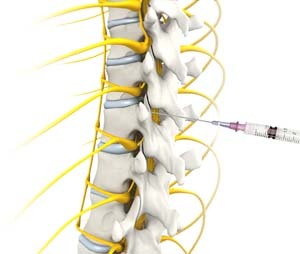 Epidural injections are administered into the epidural space of the spine. The epidural space is the space between the outermost covering of the spinal cord (dura mater) and the wall of the spinal canal. It is approximately 5mm wide and is filled with spinal nerve roots, fat and small blood vessels. Pain management in different conditions such as spinal stenosis, disc herniation and arthritis can be done through epidural injection. Different types of physicians such as physiatrists, anaesthesiologists, radiologists, neurologists, and surgeons may recommend epidural injections for pain relief. 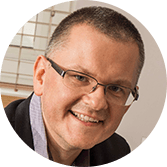 Patients may feel numbness in the arms or legs just after the procedure along with other side effects related to the anaesthetic component that usually settles down within 1-8 hours. Patients may continue to feel some back pain, as epidural spinal injections take about 24-72 hours before showing their pain-relieving action. In some cases, if the desired effect is not obtained, then reinjection may be recommended. The standard guidelines for steroid injections state a maximum of 3 injections per year. In case no relief is obtained from spinal injection, then surgery is considered as the final option.